To kick off our series of posts this month we’re calling “New Feature Friday”, we’re pleased to announce the initial release of Power BI Report Builder, the latest companion application for Power BI that lets you author Paginated Reports. It is a free, standalone Windows Desktop application that can be downloaded from the Power BI site. 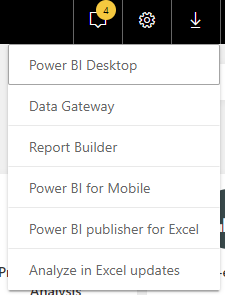 Keep watching this blog for additional announcements each Friday this month on when these are enabled in the Power BI service for your use. After connecting to your data and creating your datasets, the report creation experience works just as it does in the current authoring tools for SQL Server Reporting Services. We’ve taken steps to hide features that aren’t planned to be supported, or greyed out those we’ve not yet enabled (like subreports, for example), to help you make sure the reports you create will work in the Power BI service as you and your users expect them to. For users unfamiliar with paginated reports, the file format used for these reports is the RDL extension. Unlike Power BI Desktop reports, no actual report data is stored in your saved report. Rather, it is the report definition that is saved in the file, which includes connection information, layout details, etc. After you have saved your RDL file, you can then go to the Get Data screen within the service. You can only load from your computer currently, but we will have an end to end publishing experience from Power BI in an upcoming release prior to GA. The focus of this initial release is around creating and editing new Paginated Reports built specifically for the Power BI service, so we don’t allow connecting to your existing SSRS instances from Power BI Report Builder to open or save reports. We understand that many users will be looking for an easy way to move their existing content to Power BI moving forward, and we’re evaluating options around building a meaningful migration experience for your existing content. 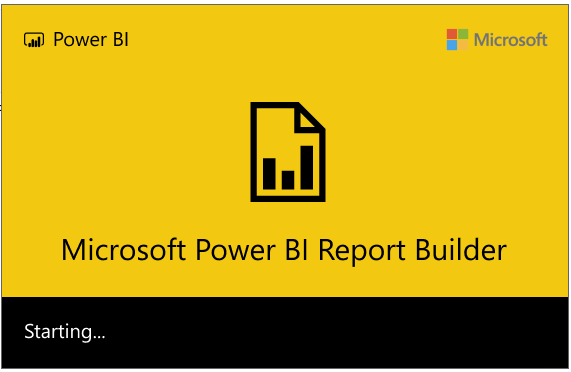 We encourage all users to download and start using Power BI Report Builder to experience the value paginated reports can provide their organizations today. It provides Power BI report authors the ability to create, view and export paginated report content just like their organizations can today within Power BI Premium. Please let us know your feedback in the comments below, and keep watching the Power BI blog for additional announcements for Paginated Reports over the next several weeks.